A Short Account of the Traditional Creators of the Yi Jing. Tags, usually used as the title of the hexagram, either physical objects (Cauldron, Well) or abstract concepts (Arising, Overthrow). Fortune (good and bad fortune, there will be blame, regret, etc.). The Yi Jing used numbers as its basis. The technique that preceded it, and was considered more authoritative until well into the Zhou Dynasty, was the use of ‘oracle bones’. The plastrons of turtles and the scapulae of cattle would be prepared by being smoothed into a writing surface. Niches would be carved into the bone on the back, and a hot object pushed in to cause a crack to form on the obverse surface. These cracks would then be interpreted as omens. The questions posed were often more like magical ‘charges’ than queries, with the king asking whether particular ancestors were causing misfortune and how to placate them with sacrifice, asking/praying for good rains for the crops, etc. The charge/countercharge (i.e. there will be rain | there will not be rain) were inscribed on the bones in a very specific template, giving such things as the date, who divined, etc. Sometimes the results were inscribed (the king interpreted that it would rain on a bing day. It did rain on a bing day). With the passage of time the practice of oracle bones faded away (though similar techniques of crack forming and reading were used up until recently in Buryatiya and Mongolia). The practice of divining using the yarrow stalks increased. 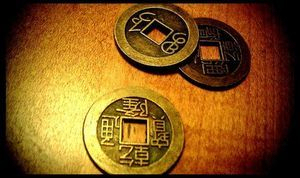 Later, in the Han Dynasty, the three-coin method evolved. The technique of generating a hexagram using yarrow stalks has been lost. The description of it in the Appended Statements later elaborated by the Song Dynasty scholar Zhu Xi, is spurious, and that paragraph is missing from the oldest Appended Statements text we have, from the tomb at Ma Wang Dui. 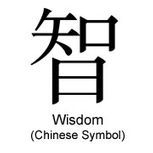 As Ruism, what became known in the west as Confucianism, became the prevailing school of philosophy in China, it introduced many key concepts into the Yi Jing, adding layers of ‘wings’ or appendices the text. These include the Images for each hexagram, which general counsel for those getting the hexagram in answer, the commentary on the judgment and on the individual lines, and several other wings, the most important of which is the Appended Statements, or, Great Treatise, a major work of Warring States philosophy, religion and cosmology. Scholars agree that the traditional account of the writing of the Yi Jing is just that, a tradition, not a fact-based account. But it is a compelling tale, and something all students of Yi Dao should know as part of our own ritual heritage. According to tradition, Fu Xi created the Ba Gua when he saw them inscribed on the back of a dragon horse (or a tortoise) that came out of the river. In the Chinese mythos he is a creator, a mythical figure who is co-creator of the world with his consort, Nu Wa. They are often depicted as being human above the waist and serpents below, their tails intertwined. Anciently, when Bao-xi had come to the rule of all under heaven, looking up, he contemplated the brilliant forms exhibited in the sky, and looking down he surveyed the patterns shown on the earth. He contemplated the ornamental appearances of birds and beasts and the (different) suitabilities of the soil. Near at hand, in his own person, he found things for consideration, and the same at a distance, in things in general. On this he devised the eight trigrams, to show fully the attributes of the spirit-like and intelligent (operations working secretly), and to classify the qualities of the myriads of things. He invented the making of nets of various kinds by knitting strings, both for hunting and fishing. The idea of this was taken, probably, from Li (the third trigram, and thirtieth hexagram). King Wen was the leader of the Zhou Clan, ruling a small kingdom in western China on the borders of the barbarian territories. He was a vassal of the Shang Dynasty king Zhou of Shang (Zhou written with a different character, so not confusing in the Chinese). Wen was the ‘Lord of the West’, a powerful ally to the Shang. But with the passage of time Zhou of Shang became a tyrant. He and his consort, Da Ji organized debauches of cruelty and excess, setting out ponds of wine and hanging meat on trees for their orgiastic feasts. He neglected and corrupted his duties of ancestral worship and destroyed anyone who counseled him to change his ways. He killed one of his uncles, removing his heart to examine it, claiming that he wanted to confirm what he had heard, that the heart of a sagely man has seven openings. 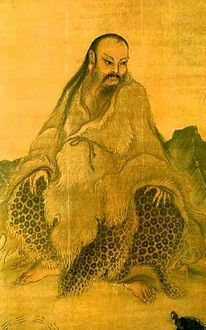 King Wen also was tormented by the tyrant. He was cast into prison and, according to tradition, that is where he formed the core of the Yi Jing--the sixty-four hexagrams. He doubled the trigrams of Fu Xi to form the 64 figures, arranging them in what has come down to use through the centuries as the ‘King Wen arrangement’ of the hexagrams. This is the arrangement that is most commonly used in Yi Dao meditation. Tradition also holds that it is King Wen who wrote the judgment texts for each of the 64. While he was in prison King Wen was faced with a terrible decision. He determined by divining that the stew the tyrant had eaten had been made from Wen’s own son. Finally, he decided to eat the meal of horror that the tyrant offer in order to survive and take the throne from the Shang. His nobles paid off the Shang officials and got Wen released from prison and he returned to the west. There he organized many nations and tribes in a coalition to overthrow the Shang, who had been in power more than 400 years. Just before the decisive campaign, however, Wen died. 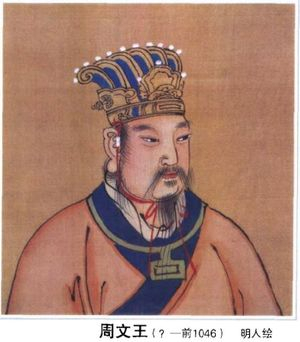 His son, King Wu, took over leadership of the clan and led the coalition to victory over the Shang at the battle of Mu Field. Although on the face of it this was an act of regicide, later scholars would come to view this as the first instance of the ‘mandate of heaven’ moving from one dynasty to another. The concept of the mandate is that heaven, as in an old saying, is totally impartial, it always favors the good. In other words, early Chinese philosophers shared with the early prophets and teachers of Israel that good is rewarded and evil punished. Long generations of carefully recorded history would create a more nuanced view of this simple assertion, but the concept of altruism and public service for the leader remains the standard of Chinese rulership to this day. So when a ruler is no longer benefiting the people, instead using his power to exploit and torment, he has lost the mandate of heaven and is considered a bandit, not a king. At this point the next regime blessed with the mandate can take over. The man known as the Duke of Zhou was King Wen’s brother. He played a key part in the Zhou conquest of Shang, but he is primarily remembered for his great virtuous power. Not long after the Zhou had consolidated their power and stabilized the realm (with the Duke of Zhou making several punitive expeditions to the east as part of the effort), King Wu died. The heir apparent, King Cheng, was a small child. The Duke of Zhou took over as regent, even though according to Chinese tradition at the time he could have easily taken the throne. He educated the young prince and taught him to rule the people with a firm and benevolent hand. When King Cheng reached maturity the Duke of Zhou yielded the throne to him, remaining as his counselor. Tradition holds that it is the Duke of Zhou who wrote the ‘yao’, the texts connected with individual lines of the Yi. Kong Zi’s reverence for the Duke of Zhou was such that he said this: “Extreme indeed is my decline; long indeed have I not seen the Duke of Zhou in my dreams!” (Analects 7:5). 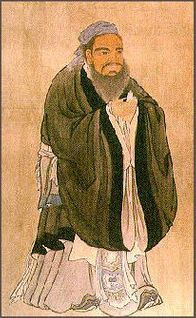 It is difficult to describe Kong Zi, known in the west as Confucius because he towers over Chinese civilization and has done so for 2500 years. Many of the ‘wings’, the appendices of the Yi Jing that add layers to the core text of the original Zhou Changes (Zhou Yi) are attributed to his hand. Scholars have known for a long time that this is traditional, but not factual. However it is safe to say that the influence of the Ruist (Confucian) school of philosophy and governance can be felt throughout the most important of the wings, the Appended Statements (also known as the Great Treatise). This small compendium of cosmology, philosophy and counsel is one of the most important books of early China in its own right, even though it is considered an appendix to the Yi. Many cultures have the concept of saints, wise and holy people. Yi Dao culture is no different. Those above are certainly among their number; people who have earned a place in the shared memory that is history. But there are many others, and as you make your way down the path (Dao) of Yi Dao you join their number. All who find a home in the figures of the Yi Jing are part of it. As we meditate our minds join with them, living and dead, sharing in our study and wonder of the universe. Wang Bi of the Jin Dynasty is there as is Shao Yong of the Song Dynasty. Modern masters are there, Master Khigh Alx Dheigh is there, as is Master Tsung Hwa Jou. Aleister Crowley is there, along with Richard Wilhelm, two utterly different men united in their love for the Yi Jing. The list stretches down the millenia. When we meditate we are not alone. We join in an intellectual and virtual chorus of those visualizing the figures…and we join with beings so strange that we cannot imagine life on their worlds spinning in the depths of space. The figures of the Yi are universal, though the way they are represented and conceived differ. So a billion light years from here, on a planet of sentient beings…there is someone meditating on the Yi right now. They too are in our figurative ‘communion of saints’.